Farm Girl Pink....: ~ Agee - Pyrex... more fun from Australia! 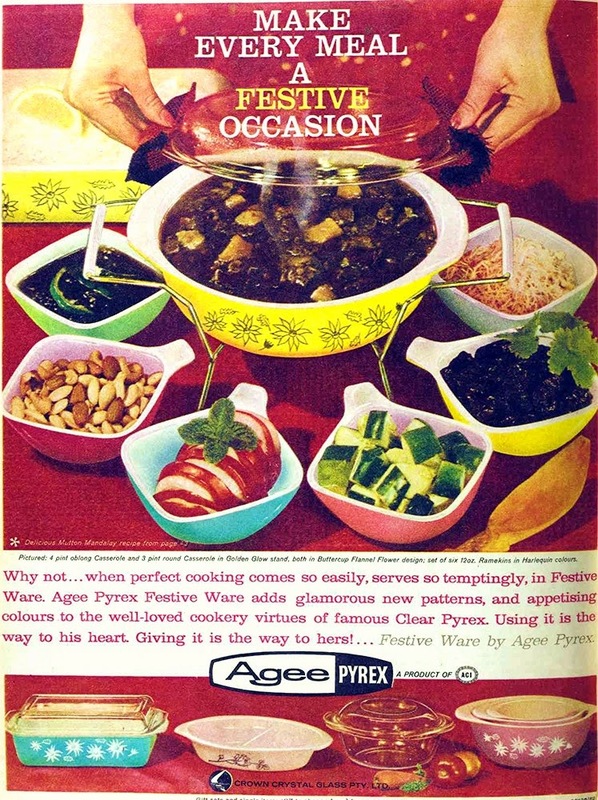 I am loving these vintage Agee - Pyrex advertisement from Australia. I am realizing that I am in love with those square ramekins. My kitchen cabinet would really like to have 6 of those sassy bowls. There is more of the "Flannel Flower" pattern with this advertisement too. I spied the mixing bowl set in the very bottom corner of the page. In pink! And it is a 3 bowl set. I love the shape of the handles on these pink floral bowls. Of course it would not be the perfect piece of history.... without a turquoise casserole dish with its lid! 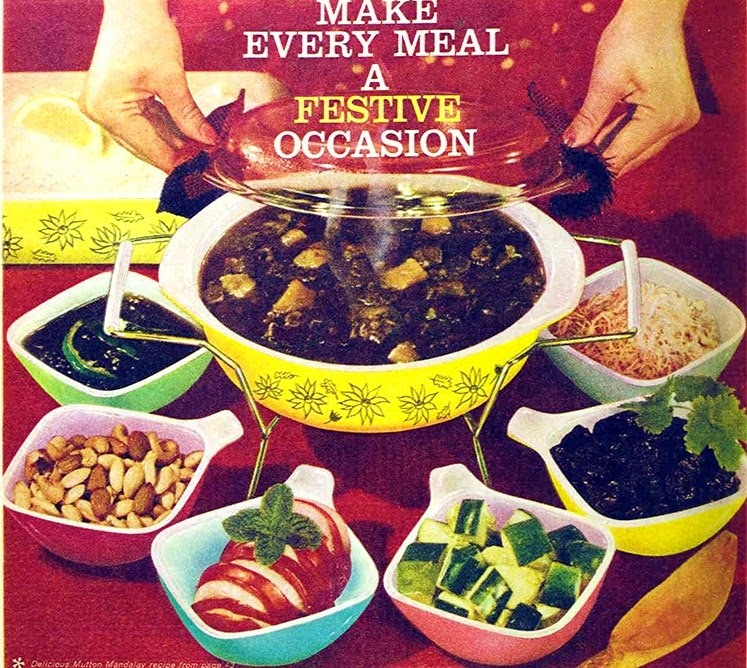 Speaking of Pyrex casserole dishes.... in turquoise.... I saw this one the other day. It is magnificent! And I have never seen one of these in person. Just image how heavy it would be with something cooking in it! Ohhh, I came across another jumbo turquoise roasting pan from Pyrex! That thing is huge!